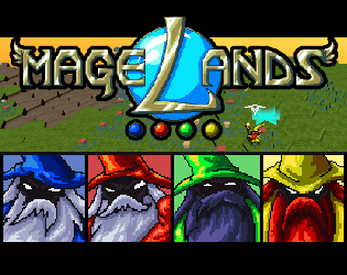 In MAGE LANDS you play as one of four wizards trapped in a battle royale (local multiplayer up to four players) The land is your's! Fill it with buildings while destroying your opponent's. Yes, the land will be destroyed so SUMMON EARTH FROM THE HEAVENS to replace it. Increase your powers further by collecting shiny POWERUPS. In the end, there is only room for one wizard here! Throw bombs at unspecting mages! Tired of getting shoved around and abused by the other wizards? Force push bombs at them or blow them off the map! 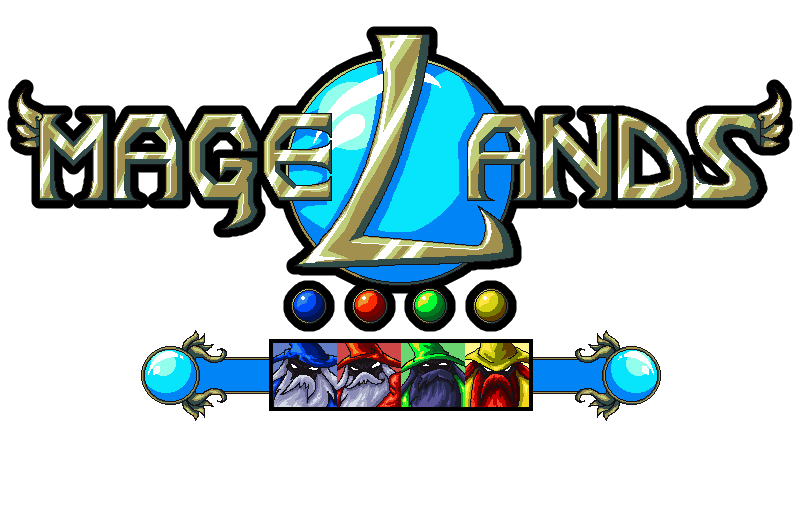 - Local Multi-player (Up to 4)! - Build A Bomb Workshops! - Shiny things fall from the heaven! - Other Controller Support, if you know the buttons! - 2D AND 3D Visuals! A wizard has dared you to play, rate, and like this game. You can't refuse a dare from a wizard! Hey, heads up! This game requires (up to) 4 friends to play! You also need a controller for each friend. Player 1 can play with keyboard, but it's not very friendly!